Pipe connection on one side, loose cap nut on the other side. The connectors of Series EMP-E3 can be directly fastened to existing fittings with DIN 8063 male threads and are immediately ready for use with both flexible and rigid tubes. 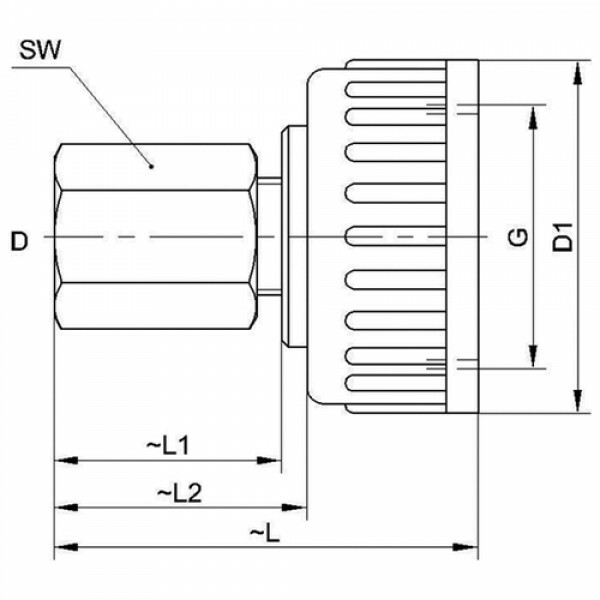 The special design of our connectors integrates many features in a single product that would otherwise have to be tediously welded together from various components. The inlay component -manufactured from a single piece- contains an integrated thread connector. 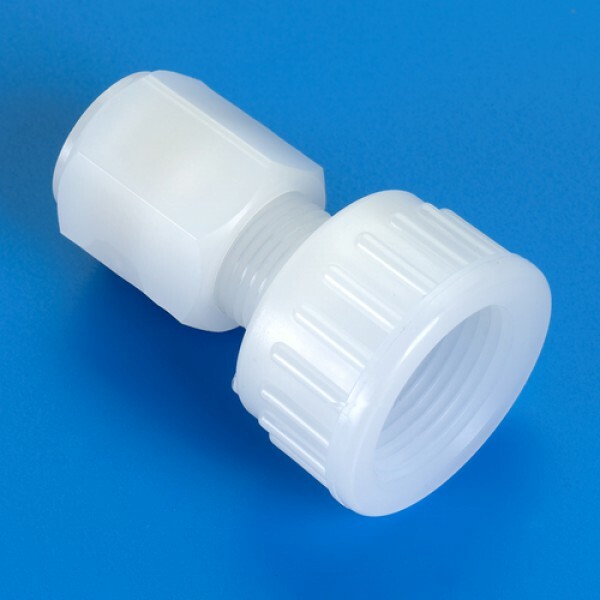 This helps to ensure that the connector is leak-proof and thus safe to use. To allow for a range of threaded connectors, the loose cap nut is available in typical sizes from G 3/4" to G 1 1/2". 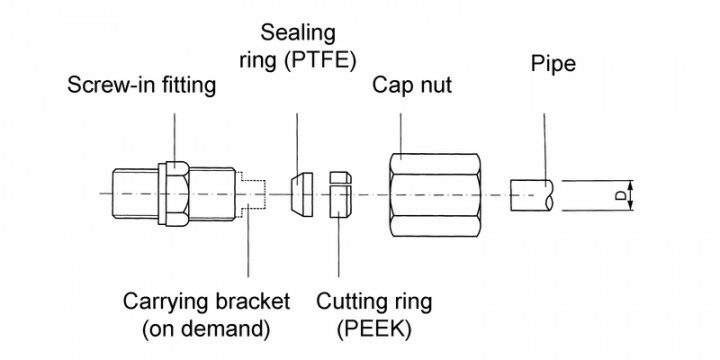 These can be combined with various tube and pipe connectors as well as with G or NPT external thread.